Based on the same insights we share with our corporate clients, our workshops and events are designed to meet you wherever you are in your career journey. These sessions are highly interactive (you’re not looking at slides all day!) and presented by our experienced, energetic and creative trainers. You’ll come away with research-based strategies you can put to use right away. We are committed to helping your employees grow and achieve their full potential. That is why we offer a variety of learning and development solutions to meet your employees wherever they are. We offer both in-house and public programs in leadership development, sales and negotiations, and professional development. To sell is human! At least according to Dan Pink! In our highly engaging and research based sales training program, you will learn the skills and behaviors of top sellers. These include how to run a good sales meeting, work through resistance and how to close more deals! Our award-winning management program is the go to program for some of our most creative and innovate clients. You will learn how to set clear expectations, give effective feedback and much more, all while creating a sustainable and high performing climate in your area. Work and network with other managers in this highly relevant and fun program. This program is for new managers or for those looking for a “refresh” on core management skills. Feel like you’re stuck? Can’t get others to do what you need or want them to do? If yes, then you’re like many in business today who are challenged to rely on others to get their work done, which can be tough when you have no “real” authority over them. In this program, you will learn influencing skills that will allow you to collaborate like a pro! 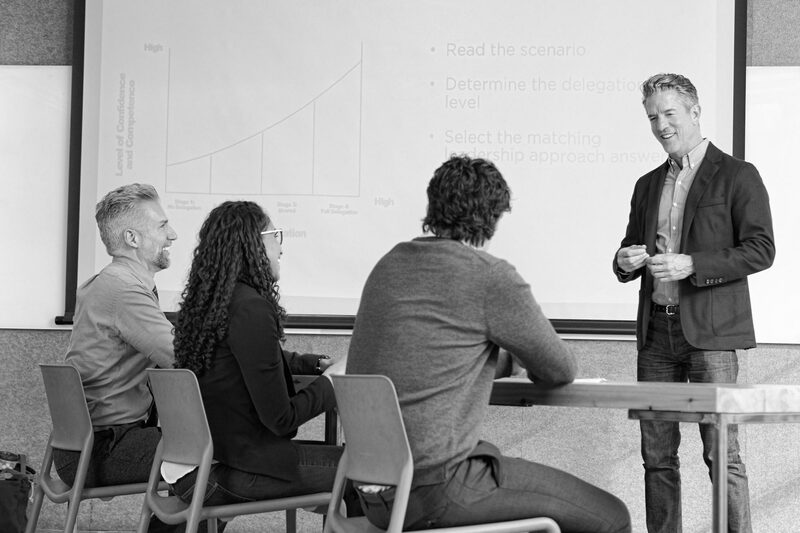 Balancing the Art & Science of effective presentations, this award winning program will help you keep your audience engaged and excited about whatever topic you are presenting. You will work on a real presentation and workshop it throughout the day, making it client ready by the time you leave! No matter where you are now, we can help you get where you want to go faster.